A 13-year-old boy discovers the magic of books in this enjoyable yet familiar coming-of-age tale from renowned Mexican author Villoro. Summer begins for Juan with the terrible news of his parents’ separation. Instead of looking forward to fun times with his best friend, Juan must now pass his summer holidays with his eccentric uncle Tito, a reclusive man devoted to his vast library. When Uncle Tito names him a Lector Princeps, a reader with a powerful connection to books, Juan plunges deep into his uncle’s “labyrinth of books,” classified into distinct, enigmatic sections such as “Cheeses That Stink But Taste Delicious” and “Marmalade Is Not Money.” Framed in the past tense, with an older Juan recollecting his adventure as a lad, Villoro’s novel packs gentle wit in a minor saga. 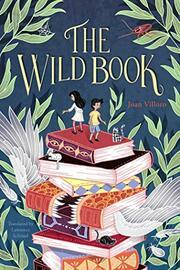 As Juan encounters books that move on their own, books that are allies, and even books that steal the contents of other books, his uncle recruits him into a search for The Wild Book, a mysterious book that eludes all readers. To find it Juan gets help from Catalina, a girl who literally leaves Juan tongue-tied. The author offers a narrative arc as traditional and archetypical as its characters, but some readers may find Juan’s adventure welcoming on its own merits. Plus, that the author and protagonist share a name adds a neat (if underutilized) wrinkle to this novel.